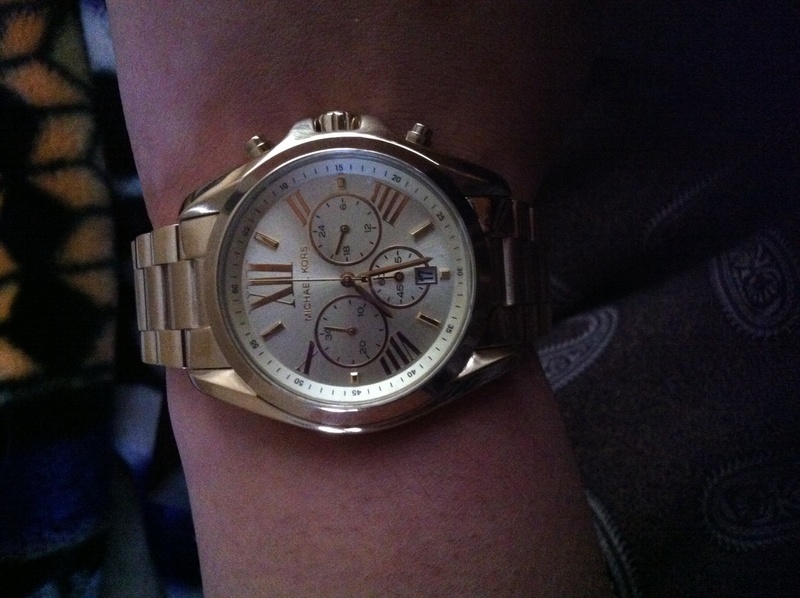 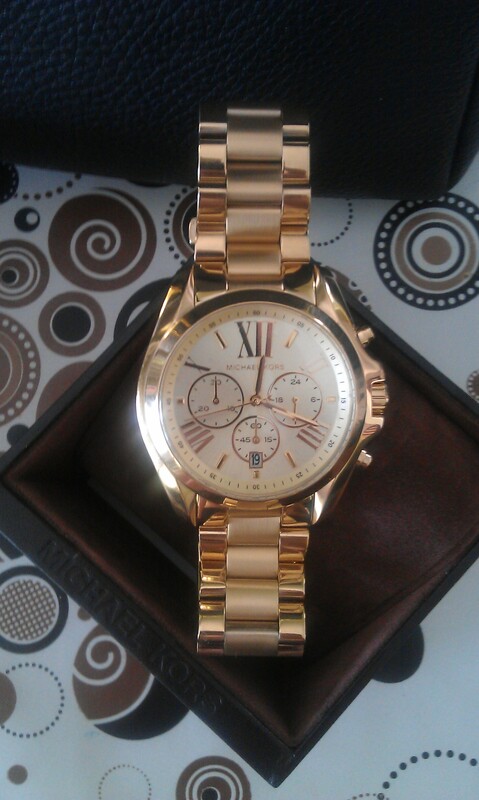 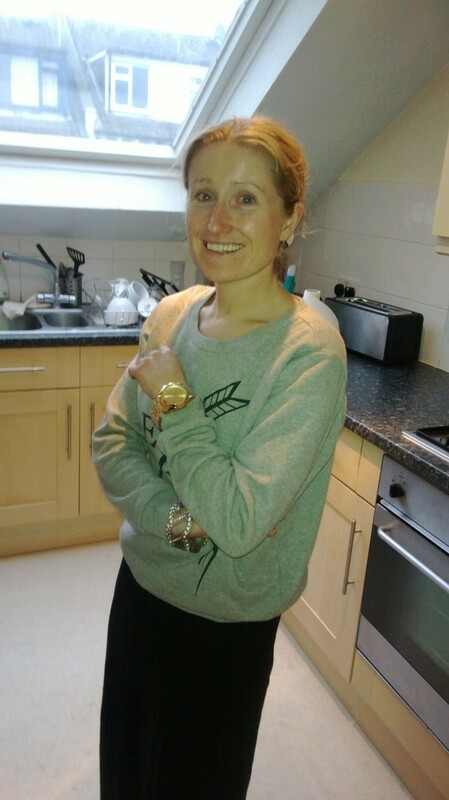 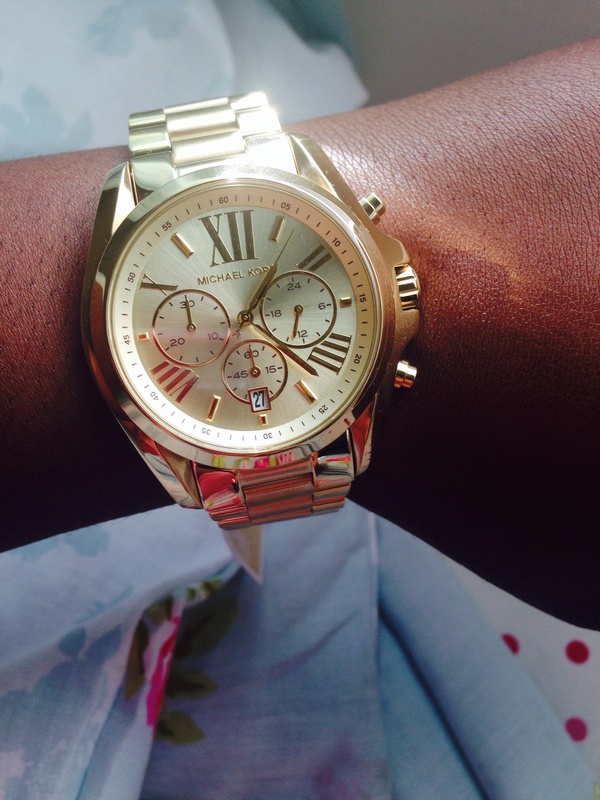 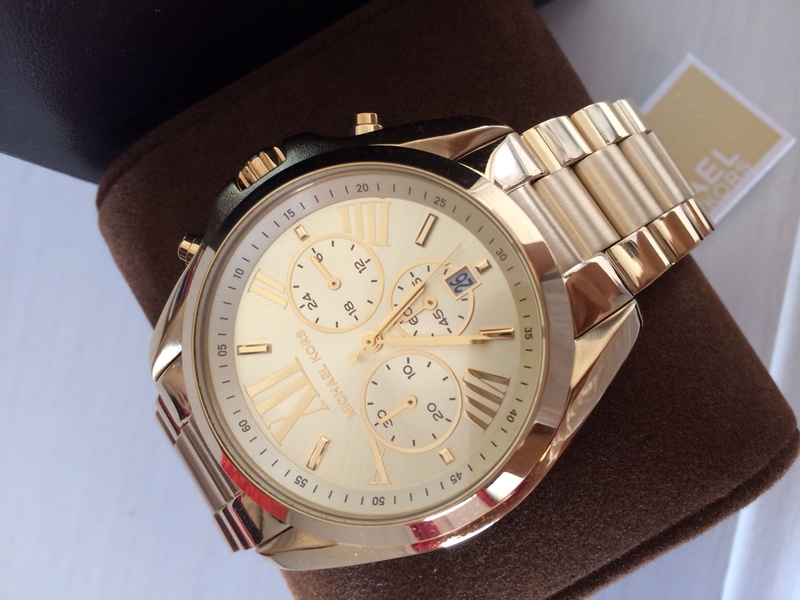 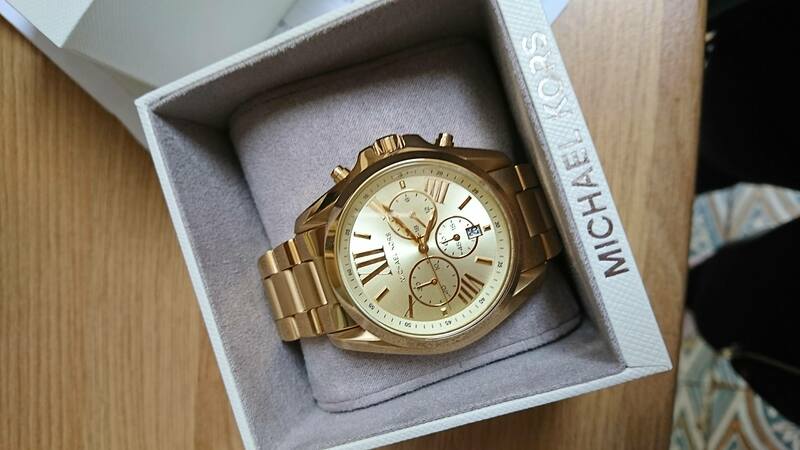 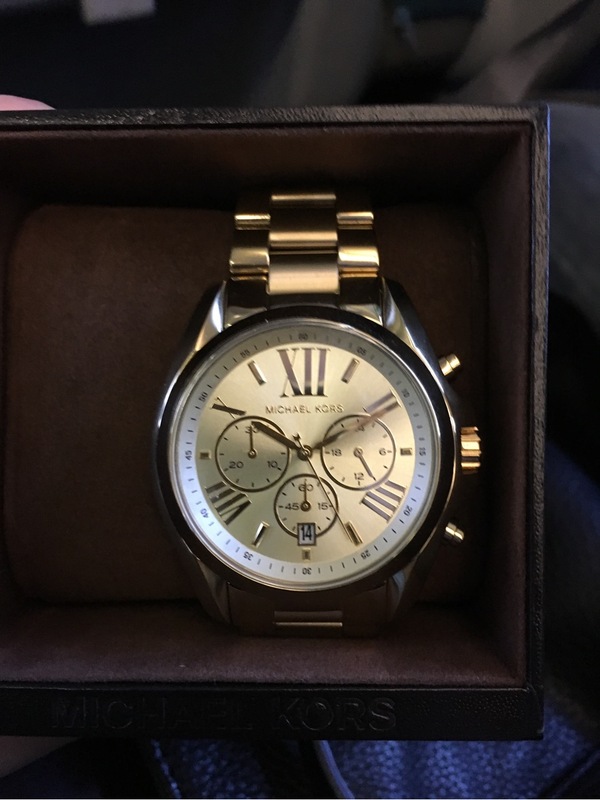 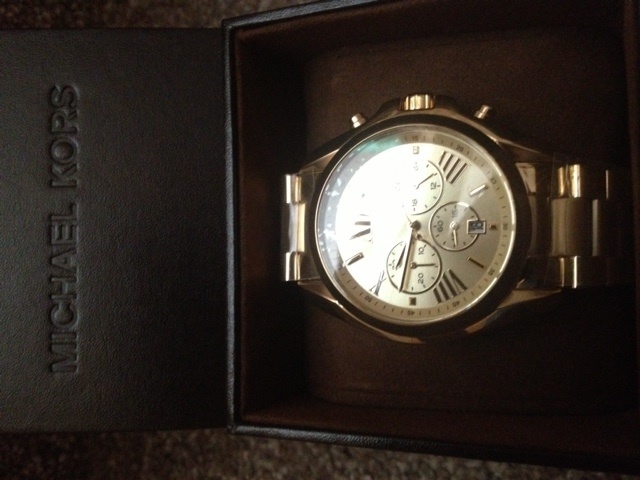 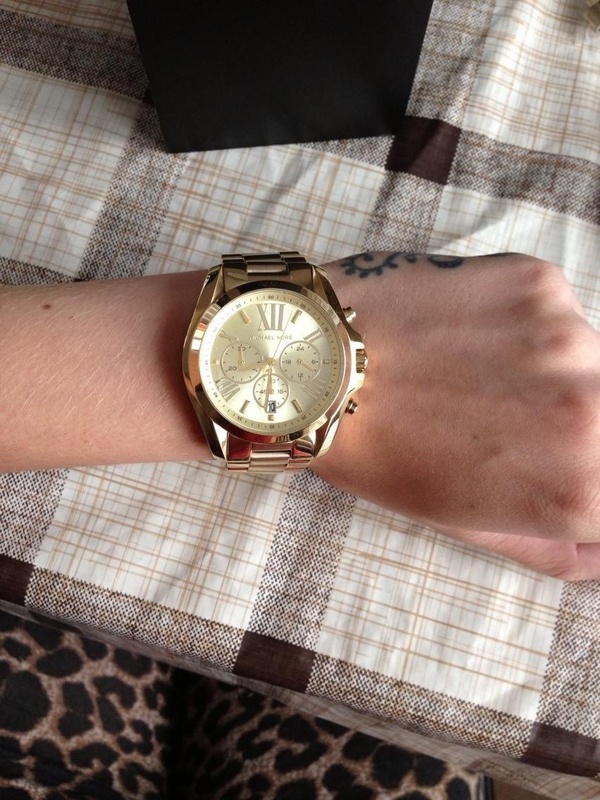 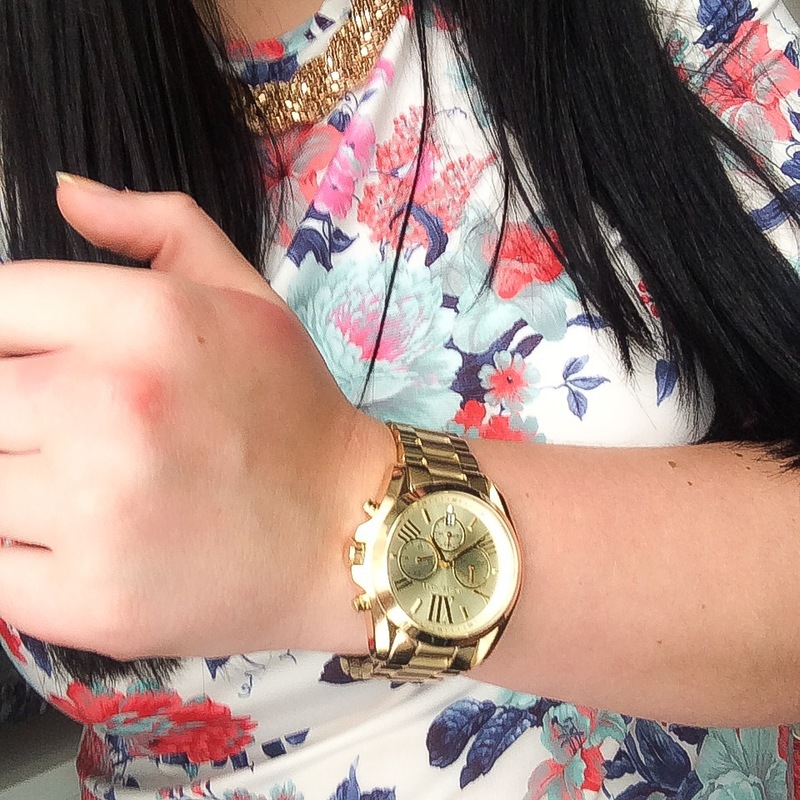 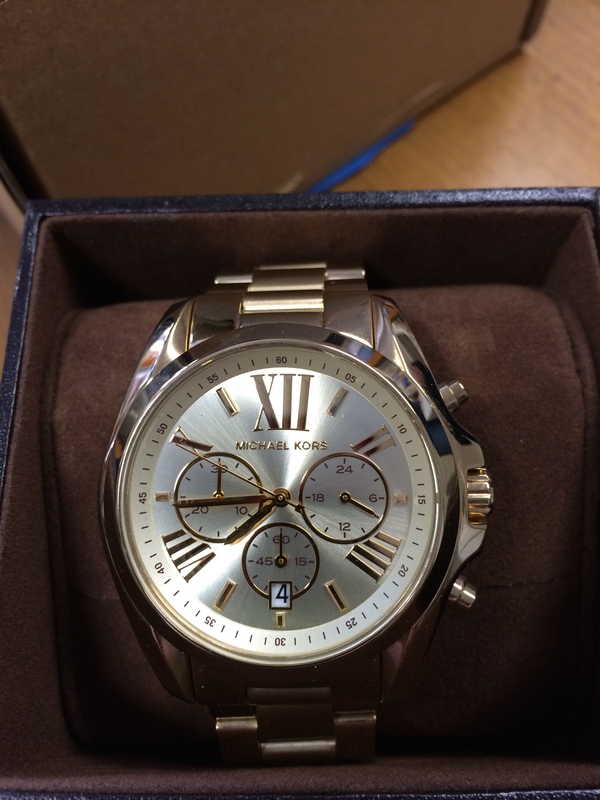 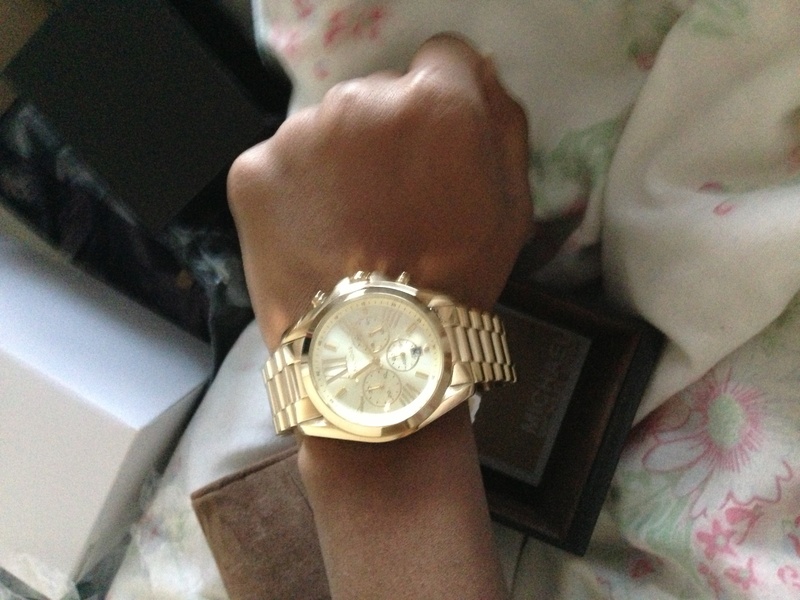 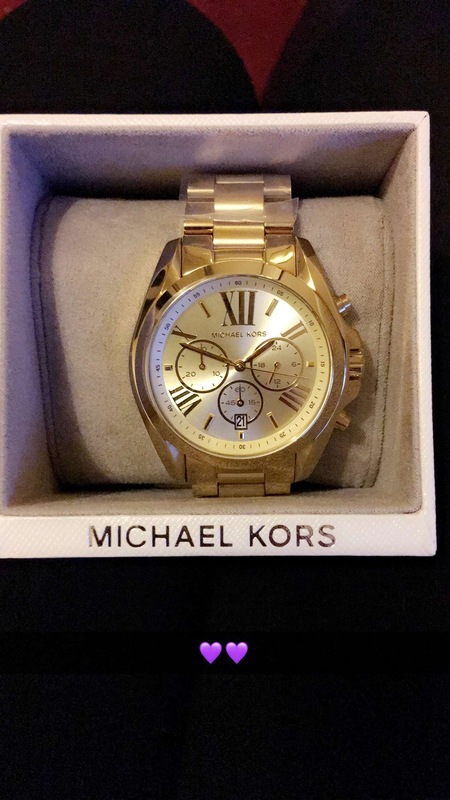 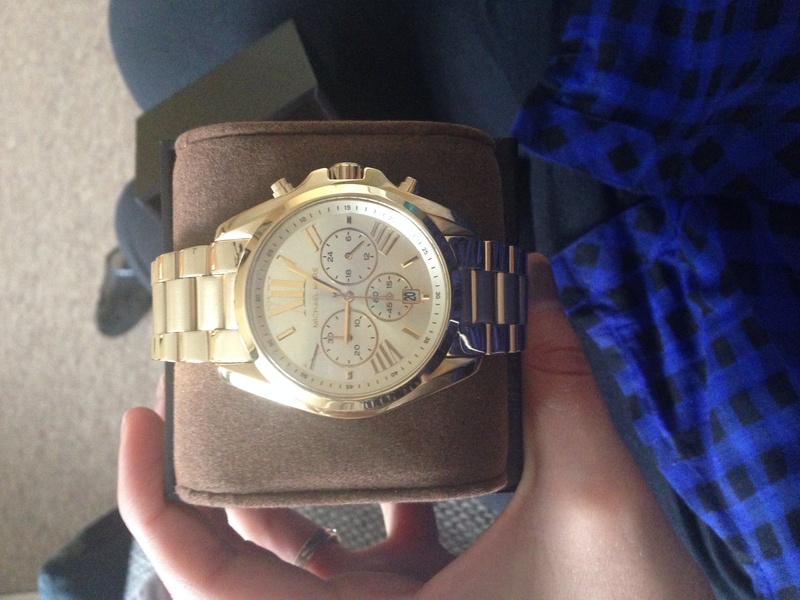 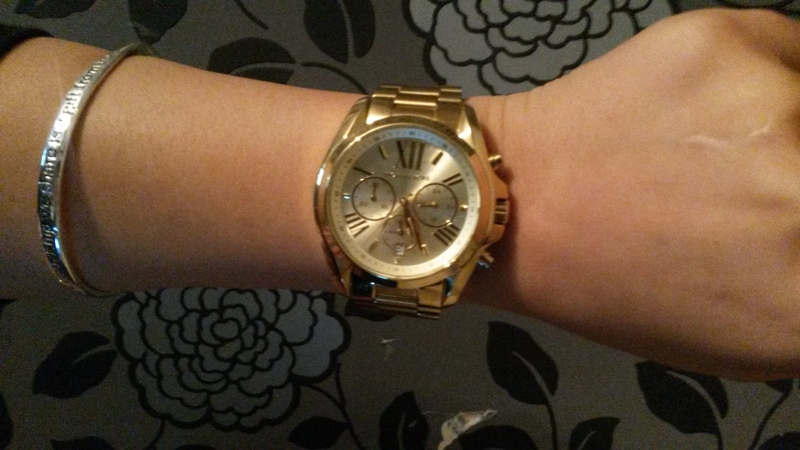 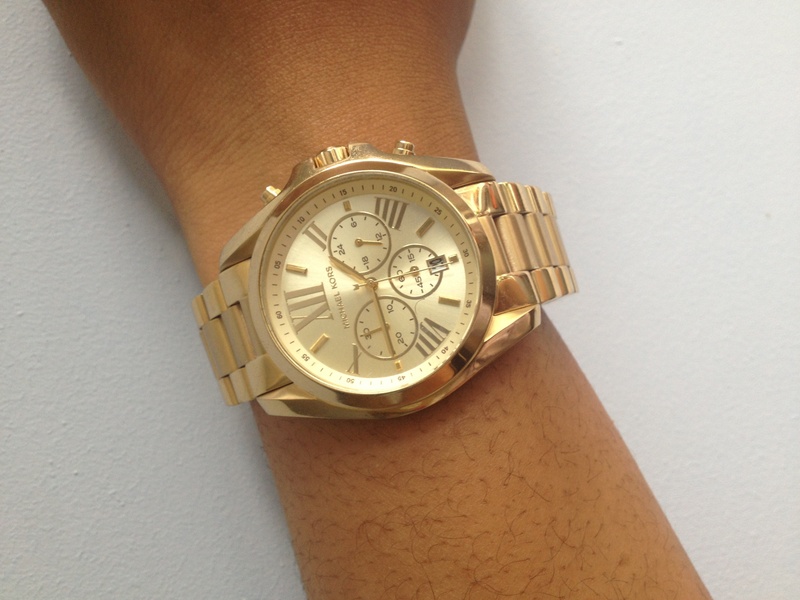 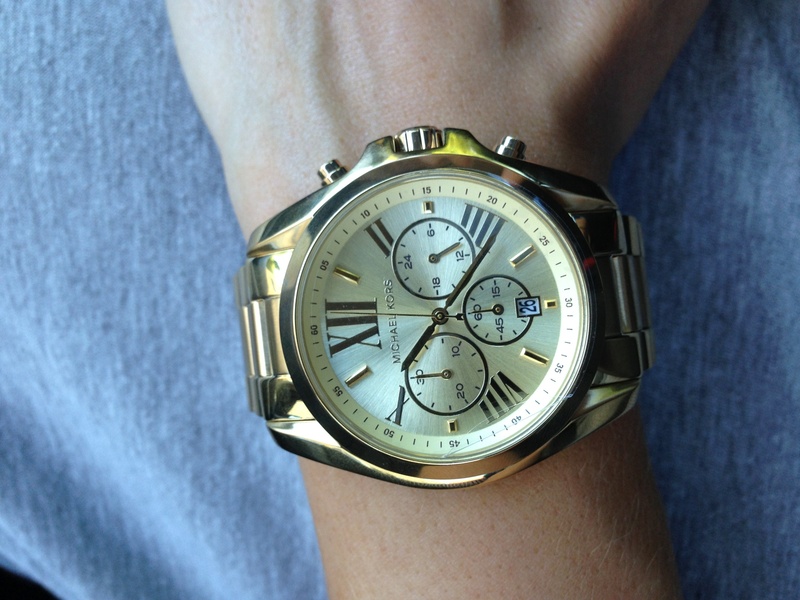 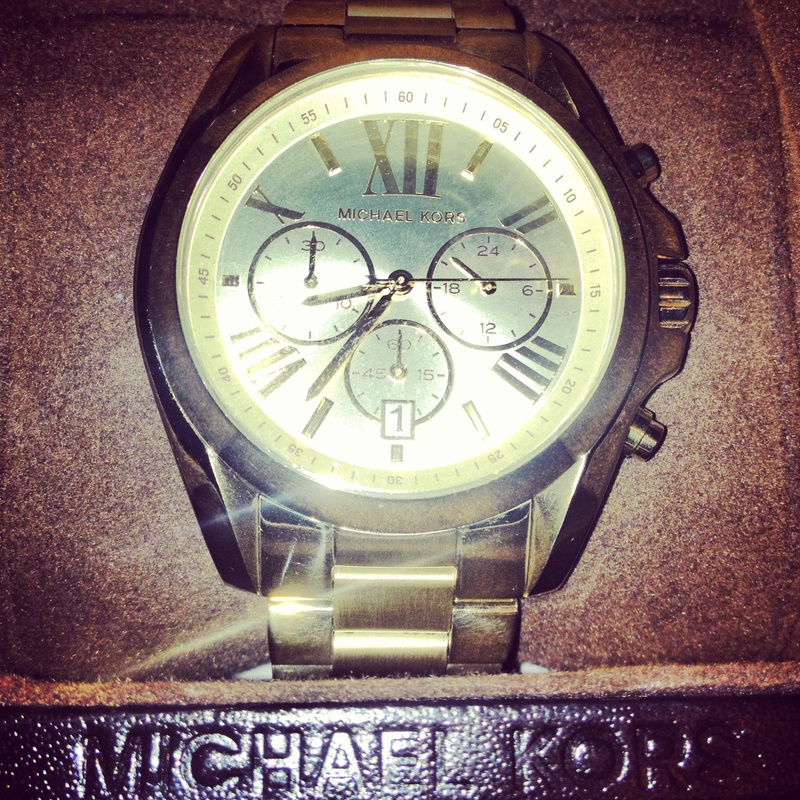 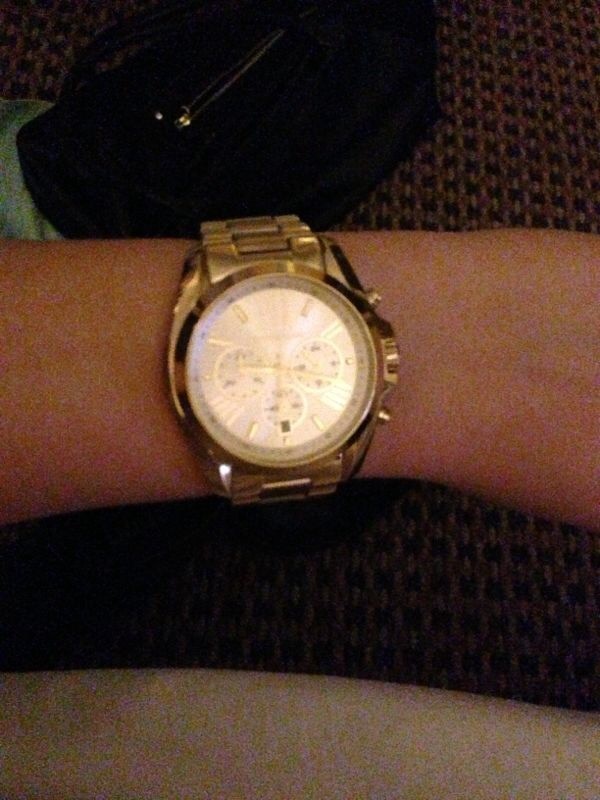 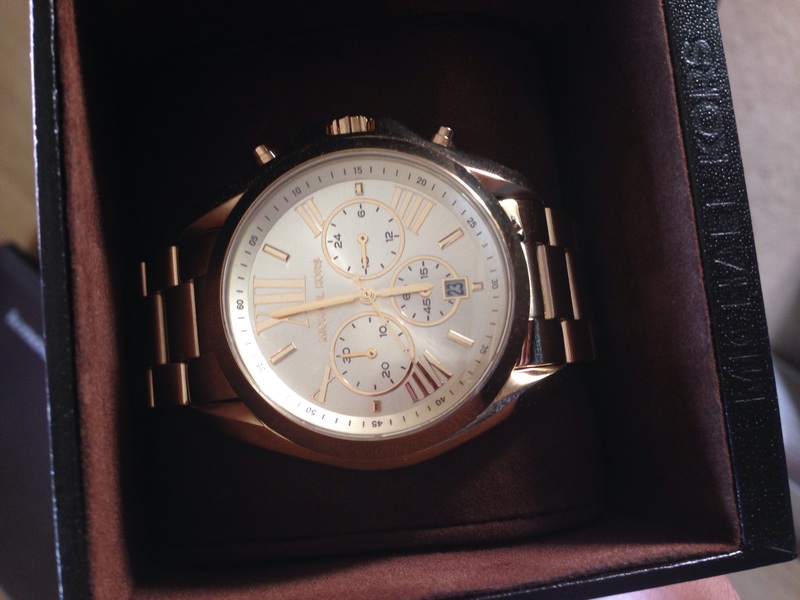 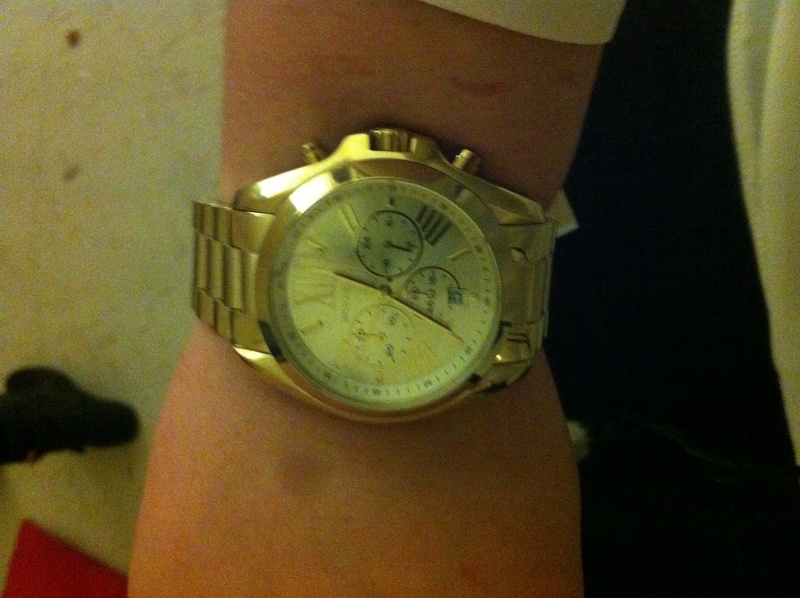 This Ladies Michael Kors watch is PVD gold plated with a large, clear champagne colour dial and gold colour baton hour markers. 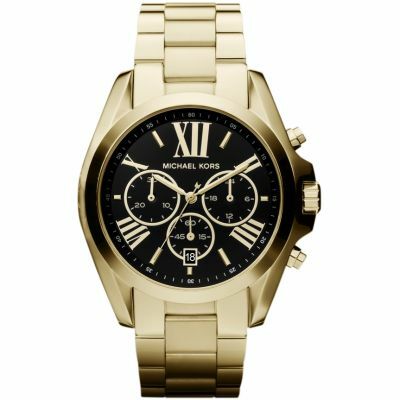 Other featutes include date function, chronograph and Japanese Quartz movement. 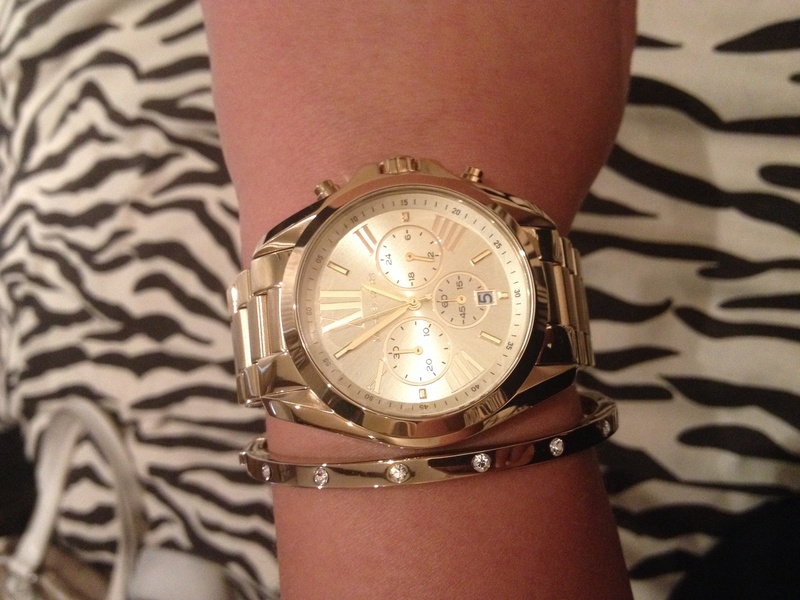 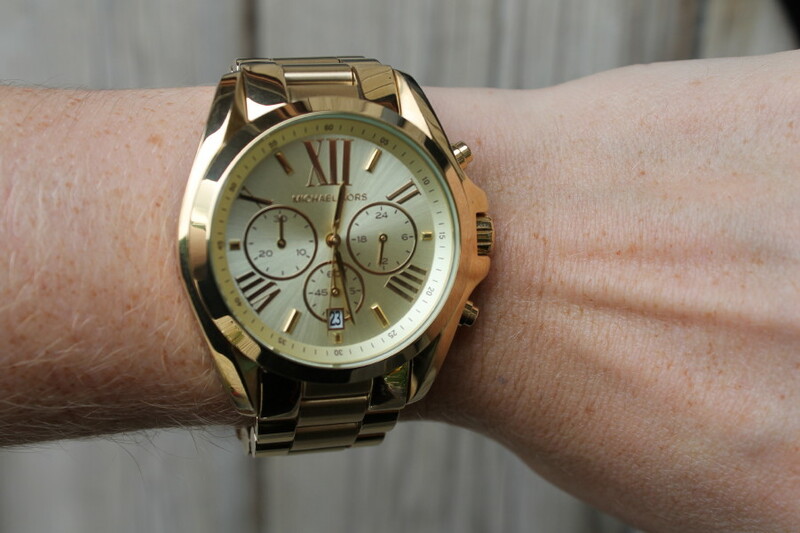 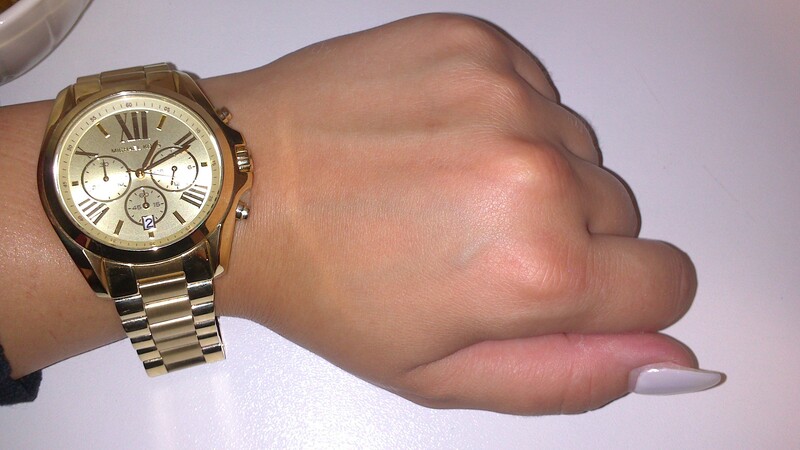 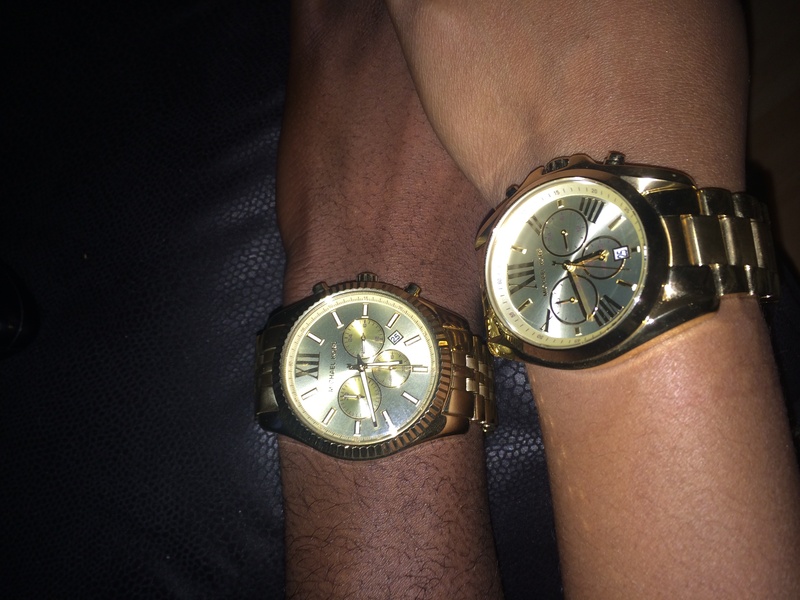 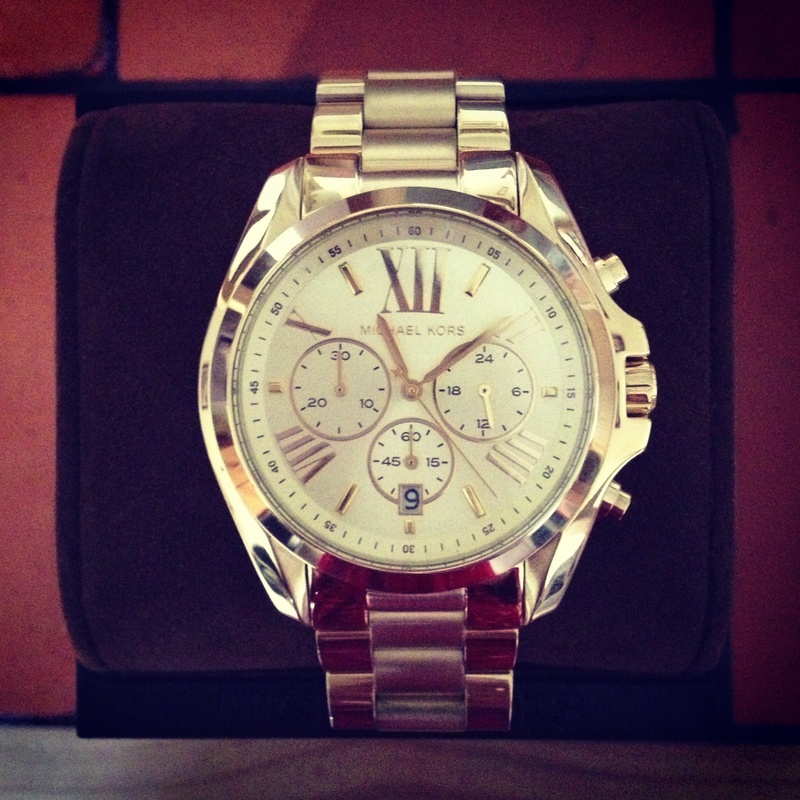 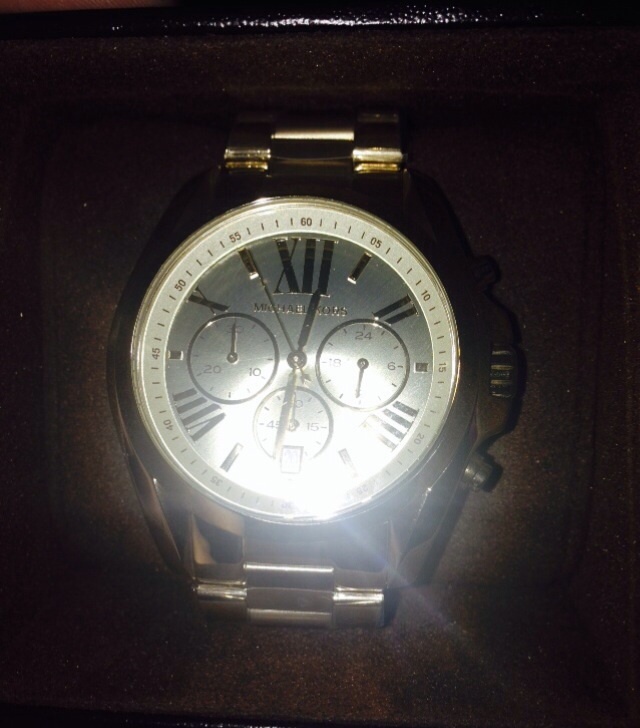 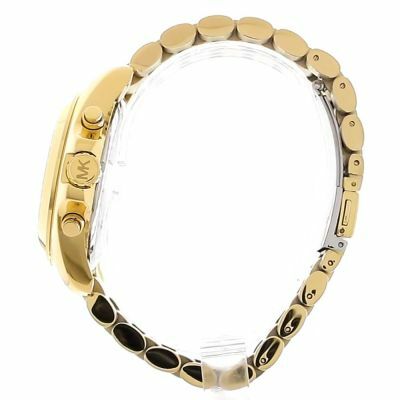 This watch fastens with a PVD gold plated bracelet.